DIVINE CHRISTIAN GIFTS - Paper Booklet - The Mysteries of the Holy Rosary. 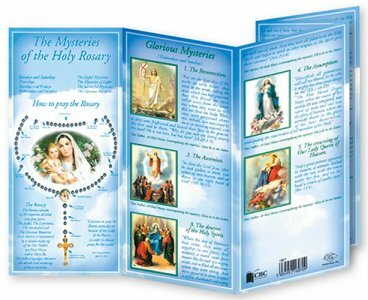 Paper Booklet - The Mysteries of the Holy Rosary. Concertina Paper booklet on the mysteries of the holy rosary. Open Size: 4" x 8 1/4""